The author of more than 45 scientific works, including 1 textbook, 1 dictionary, 1 signature standard. 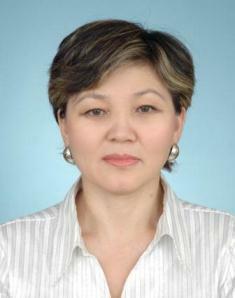 Most important work: “the organization of office work in the Republic of Kazakhstan”, Karagandy, Karagandy universitet habercisi, 2004; “Aparaty Technologien oldano arily studentcard IC hastarin irgsp outway of pedagogical Sartori”, Almaty, Kazak ulttyk Universiteti habercisi, 2007; “the Role of professional competence in specialist training”, Materials V international scientific practical conference “Minamikata on svremennata science”, 2009. Іс қағаздарын жүргізу бойынша екі тілді анықтамалық-терминологиялық сөздік (қазақ, орыс тілдерінде).